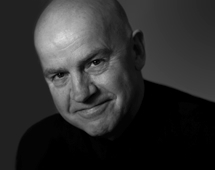 The business is run by Bill Jones, who combines his passion for design with a wealth of experience in the design industry. "Jones Design Associates specialises in Brand Identity, Print, Exhibition Graphics and Website Design. We believe in the power of good design and the difference this can make. We know how important it is to understand client needs. Whatever the project, we strive for effective design solutions through creative excellence and a thorough understanding of client objectives. Passion, experience and commitment are values shared by our Associates, who are all highly talented and experienced. A team of specialists is tailored to individual project requirements to ensure that we deliver the highest standards to our clients." "I'm very pleased with the end result on the website. I think it portrays exactly the right image of the business and yet is now flexible enough to grow with the business in the future. The feedback we have received from clients is universally positive too, so all credit to you and your team... well done and thank you."